Organic Chef Tom is on a mission to inspire you to add more green to your day by enjoying the benefits of Nagata Organic Green "Sencha" Tea. Every morning Chef Tom brews up two cups of Nagata Organic Green Sencha Tea. While the Haiku Teabags are also a delicious and convenient way to brew and enjoy green tea, Tom prefers the more flavor filled loose Sencha. 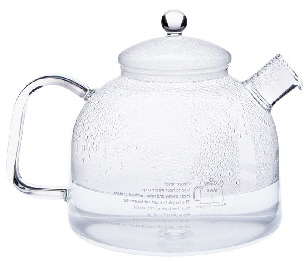 NOTE: Tom uses the German Glass Stove-Top Kettle and German Glass Teapot for Two to brew his Good Morning Sencha Green Tea. You could also use a German Glass Coffee/Tea Press for brewing. 1. 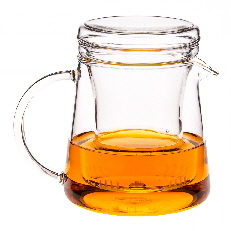 Place Sencha tea leaves in tea infuser inside a tabletop tea brewing pot or cup. 2. Bring water to a boil and allow to cool for 5 minutes. 3. 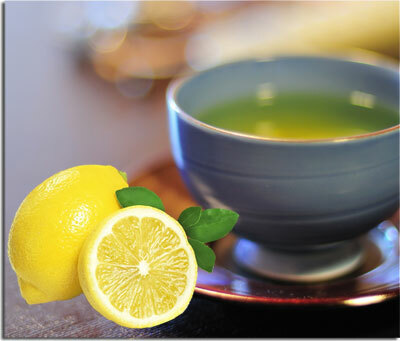 Pour boiled water over Sencha tea leaves and let sit for 3 minutes for full flavor. 4. Remove tea (and save for second brewing), add lemon if desired and enjoy. 5. Enjoy a second cup of Sencha tea by reusing the tea leaves the same morning by following the same directions except brew for about 5 to 7 minutes. Another advantage of the loose Sencha green tea is that it's economical. Tom measured how many cups of tea there are in a 3 ounce package of Sencha Green Tea. The package lasted him 45 days using 1 heaping teaspoon of the loose Sencha tea per day. With this amount he enjoyed two cups of tea by brewing the leaves twice. He brews the first cup for about one minute and then adds another cup of water and lets it sit, covered until he is ready for his second cup. This would bring the cost of his flavorful and healthy green tea to 12 cents a day. 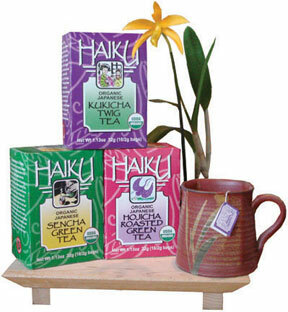 Be sure to check out these awesome articles on the benefits of Sencha Green Tea! Fast, friendly service for 30 years!